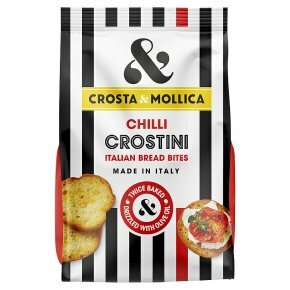 Crisp baked Italian bread sliced from a long 'filone' loaf. Drizzled with olive oil and chilli and baked twice for extra crispness. Delicious with an aperitivo or with antipasti. Try adding to minestrone and other soups.